Coffs.biz is your links directory to the Coffs Harbour and surrounds. Coffs.biz links you to local businesses, real estate agents, restaurants, cafes, accommodation, jobs, events, shopping and services, activities, community bulletin board and tourist information. It is a web space designed for local businesses, residents and visitors alike. 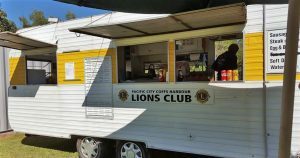 What’s new in Coffs Harbour? Coffs.biz is updated regularly. The links below are to recently added or updated sites.